Reported sporadically from the highlands, ridge & valley, and northern piedmont. 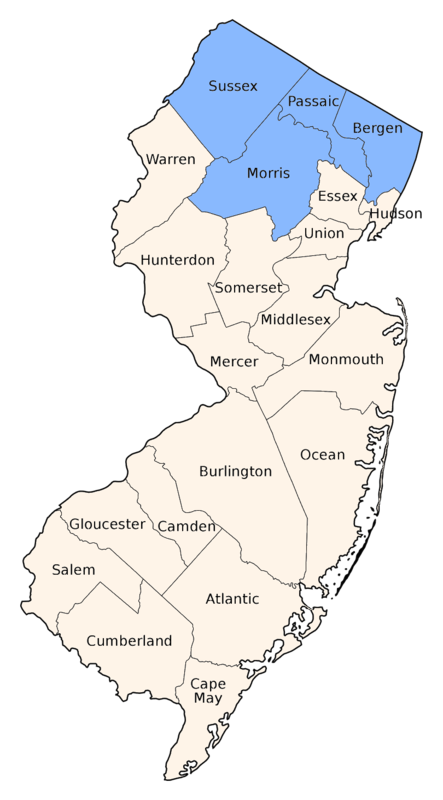 Unfortunately the largest known NJ colony, in Bergen County, was destroyed by a residential development. This is a forest insect of ancient lineage which breeds in inconspicuous forest seeps. These are characterized by large concentrations of Skunk Cabbage and ferns which indicate consistent ground water seepage. Our largest gray and black dragonfly. The eyes are not connected by a seam. 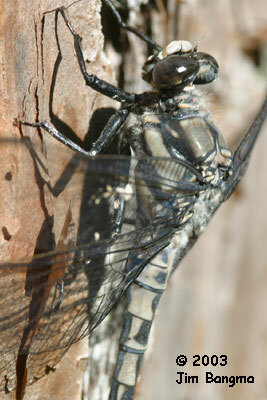 The wings have an unusually long and thin pterostigma which is unique among NJ dragonflies. It characteristically perches on the trunks of trees and often on people wearing neutral colored clothing. Males can be seen flying up and down the trunks of trees as they meticulously search for females. They rarely stray far from their forest habitat. 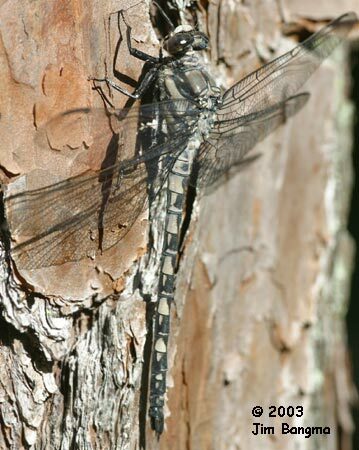 The Mottled Darner perches on tree trunks, has a colorful thoracic pattern, is smaller, has eyes connected by a long eye seam and has abundant blue on the abdomen. 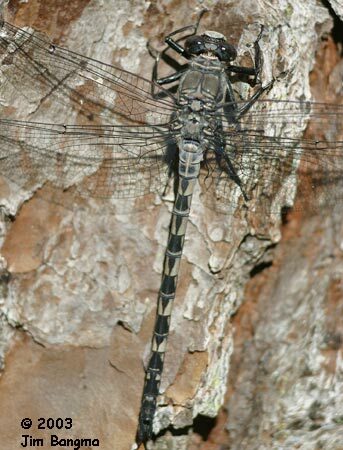 The Harlequin Darner is also a tree trunk and people percher but is smaller and also has a long eye seam.